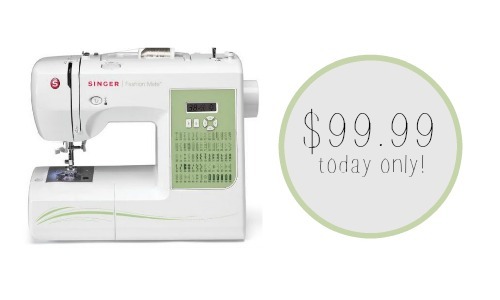 Today only, you can order the Singer Fashion Mate 70-Stitch Computerized Free-Arm Sewing Machine for $99.99. This machine is regularly $259.99 so this is a nice savings! It will arrive before Christmas if you’re planning on getting it for a gift. It comes with several features including a large variety of stitches for all types of projects plus great reviews too. Offer valid today 12/14 only. Shipping is FREE with Amazon Prime.